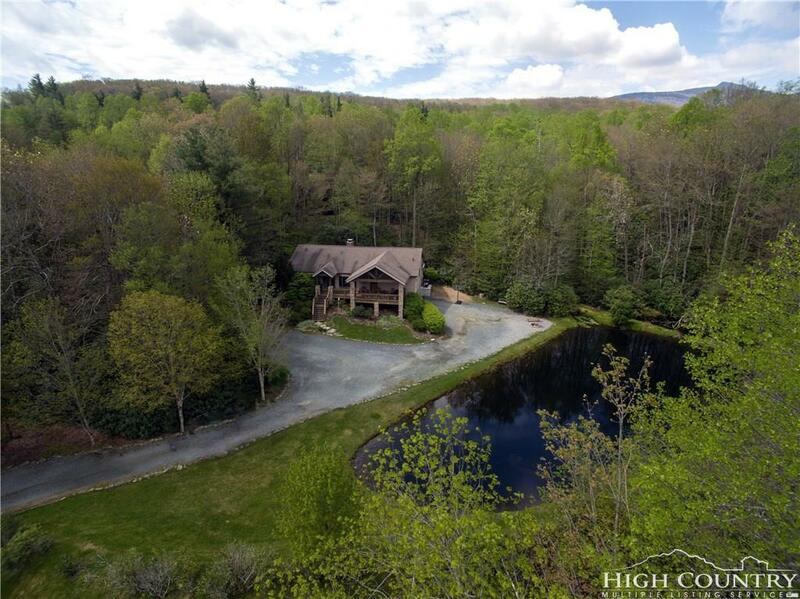 Imagine being surrounded by nature yet minutes from downtown Blowing Rock! 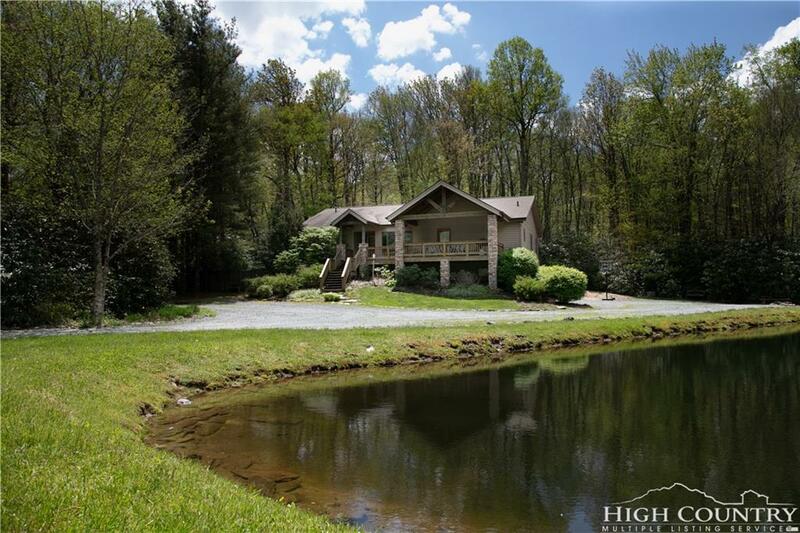 This lovely home, less than a mile off the Blue Ridge Parkway, is minutes from shopping, dining, skiing, and all of the attractions that the High Country has to offer. The open floor plan and one level living offers a large kitchen with lots of counter space, a separate dining area with a bay window, large living room with a stone, floor to ceiling fireplace, and a gracious master en-suite with a large soaking tub. A Jack and Jill bathroom splits the other two bedrooms that complete the main level. Hardwood floors run throughout with some exceptions. Downstairs you will find two bonus rooms, currently being used as a bedroom and another full bath. A hot tub on the back deck is a welcome addition. At the end of a long day the covered front porch will invite you to come out to relax and enjoy the beautiful pond in the front yard. 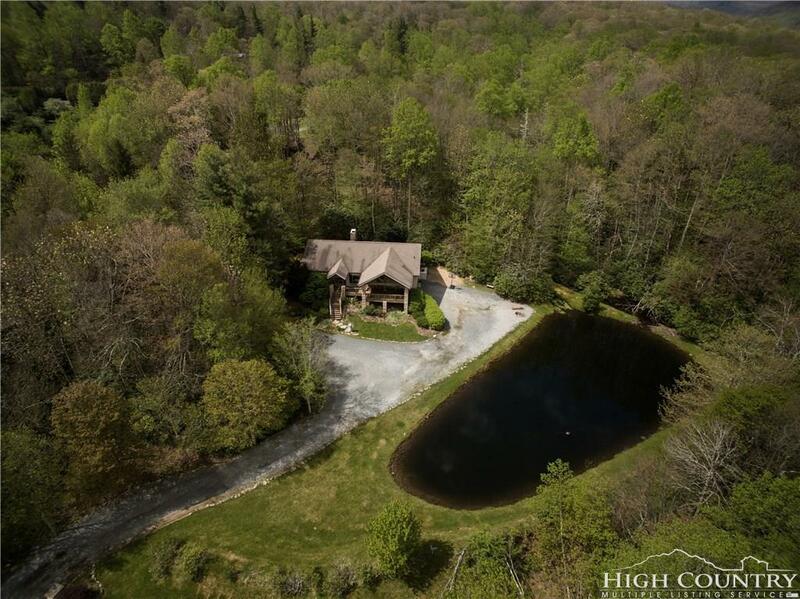 This home could be used as a full time residence, a weekend get-a-way, or an amazing income property. You won't want to miss this opportunity!! Schedule a showing today!! 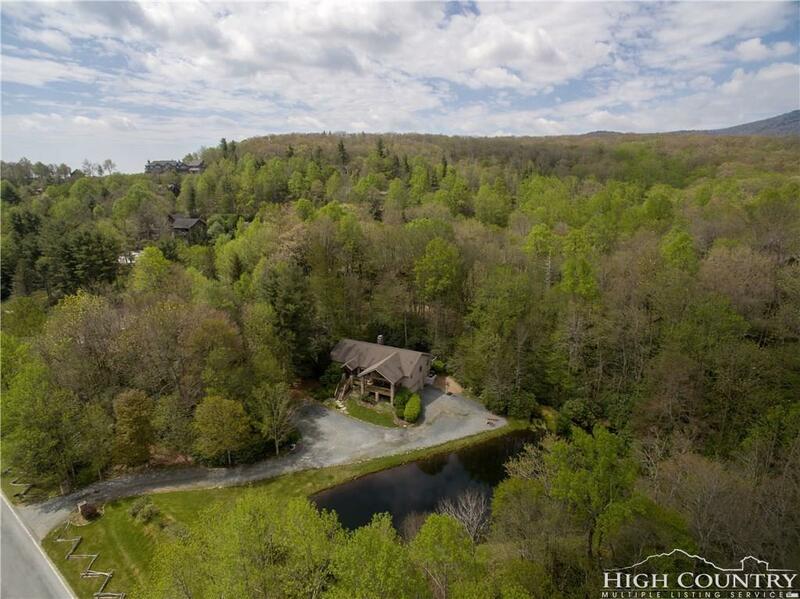 Listing provided courtesy of Donna Dunham of Keller Williams High Country Realty.